Dreaming about a wedding can mean many different things. Understanding what a wedding can symbolize in your dreams can help you apply that wisdom into your daily waking life! What Does it Mean to Dream of a Wedding? Weddings are a union of two people who are in love. It is a commitment "for better or worse" and can have a number of different meanings, depending on the other details of the dream. In our dreams, we might be in a wedding as the bride or groom or as a guest attending the ceremony. Understanding the symbolism of a wedding can help you understand your role in the dream. When two people get married, they are making a commitment to one another. 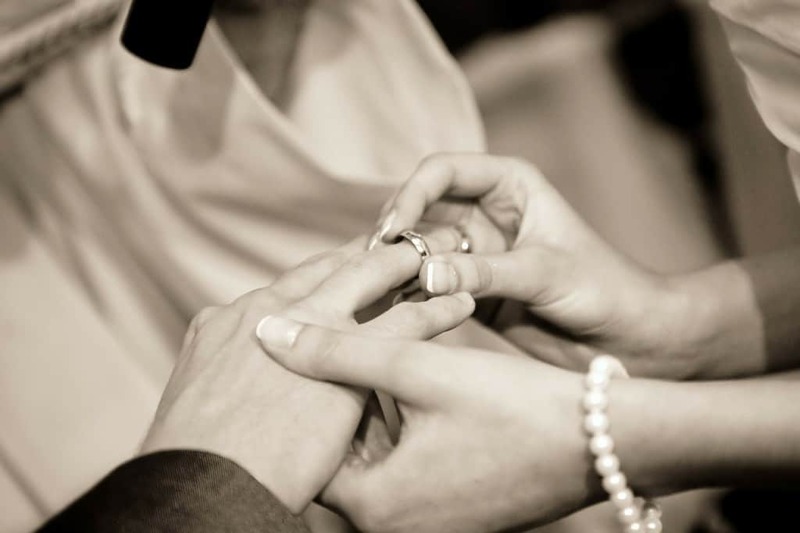 Most weddings involve the couple making a vow to each other. If you are dreaming of a wedding, it is very possible that you are thinking about a promise you may have made or a promise someone has made to you. Weddings are often associated as an event for when "two become one". To dream that you are getting married may indicate that two important aspects of yourself are merging. In your daily waking life, you might find yourself combining responsibilities or finding things are connected to each other in ways you didn't expect. It can also mean you are learning ways to unite with others. For example, maybe you are finding a common bond between your differences with another person. You dream you are getting married to a co-worker or boss: This often means a level of commitment to your work or career. Do you love your job? Do you feel like your job is secure? This dream could be a fear about job security or it could mean you are committed to doing your best in your career. Dreaming of Marrying an Ex: Dreaming about an ex can mean a number of different things, but often times if you are marrying an ex in a relationship it can symbolize being healed or whole again. See our article on What it Means to Dream of an Ex to understand your dream further. Dreaming of Marrying a Family Member: Don't be grossed out - often times this family member in a dream is only to give you some hint at what qualities you might be looking for in a partner. If you dreamt you married your brother or a cousin, it could mean there is some aspect about this person that would be desirable or undesirable to have in a future or current partner. Other Meanings When You Are the Person Getting Married: This dream could also reveal your literal desire to get married. You might be thinking of settling down and starting a family of your own. Attending a Wedding as a Guest: If you are at a wedding as a guest, this may mean you are feeling like a spectator in some aspect of your life. Who is the person getting married? What type of role do they play? For example, if you dream that you are at the wedding of someone else, you might subconsciously feel as if you are always "on the sidelines" while the other person gets the spotlight. In order to help you understand this dream better, it is useful to pay attention to other details of the wedding and dream. Learning how to identify dream symbols can be useful in understanding what other parts of the dream are important. Where is the wedding taking place? Is it an ancient cathedral? A small chapel? On the shores of the beach? Who is at the wedding? The people in your dream that are at the wedding all play a role, just like characters in a movie. Take note of their personality aspects or whether there are any personal associations you might have for the person. What colors are present in the dream? There are many different meanings to colors, and many weddings choose certain colors as a theme for a reason. Understanding the different color symbol meanings can help give you insight to the overall mood and message of the dream. Have you had a dream about a wedding? What were your experiences? What do you think it meant? Share your thoughts in the comments below!